MoYou London Starter Set "Mother Nature" ~ $29.95. This set comes with 1 Nail Art Image Plate; Mother Nature 02, 1 Nail Stamping Polish; Pink!, 1 Rectangular Stamp and Scraper, and 1 Instruction Manual. I love this set - I loved the nail look I got using this plate (you can have a look here if you missed my Manicure Monday). I'm already planning the next nail look with this nail plate! So pretty! This mist is amazing - I have been using every morning as my toner! It has really improved the overall appearance of my skin. Over time, it certainly has improved the firmness and look! Lise Watier HydraForce Hydra-Protective Comforting Creme ~ $45.00 for 45 ml. The formula’s effectiveness lies on the remarkable power of Gaspé Algae Extract. A survivor of harsh environments, the Gaspé algae has developed a highly efficient resistance system, enabling it to thrive in severe conditions. Its extract guarantees the skin’s global hydration, transforming it into a veritable defensive shield. My skin is not loving this transition to colder weather and is not being the nicest to me - this moisturizer is fantastic! Day or night it is perfect - delivers serious hydration, but is still great under make-up and also great as an overnight moisturizer. I have seen serious improvements in my skin's look thanks to this! Anastasia Beverly Hills Modern Renaissance Eye Shadow Palette ~ $55.00. A present-day take on Renaissance colors, this eye palette features 14 shades that let you create stylish, day to night looks. From the earthy yellow and ultra-matte finish of Golden Ochre to Primavera’s shimmer gold with a metallic finish, this palette’s high-pigment shadows are crease and fade-resistant and are sure to bring modern elegance to your eye looks. This palette is so gorgeous - I do have a review coming soon on it!! The shades are so lovely and really are perfect for Fall. The shadows are pigmented and creamy and blend so well! 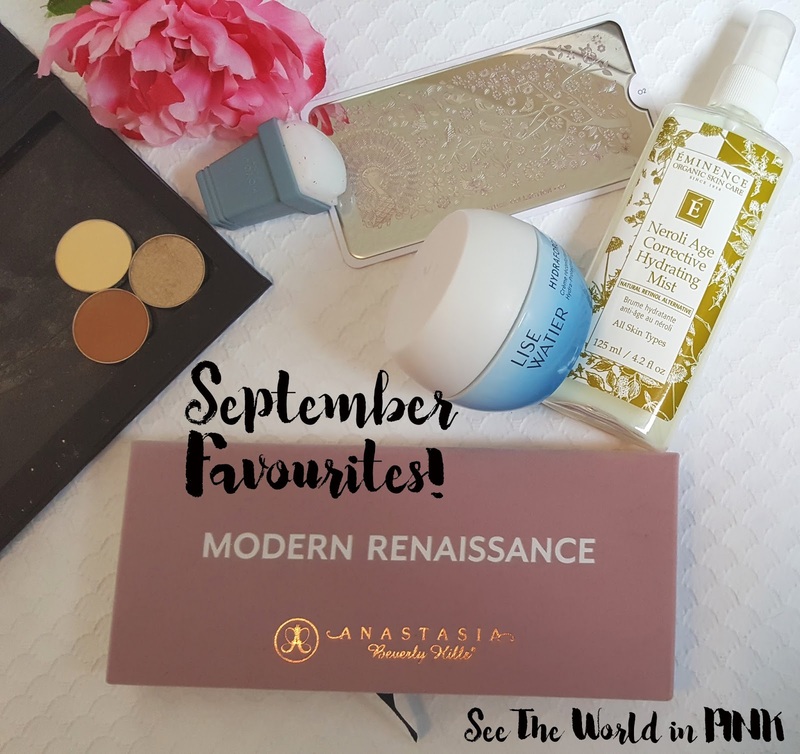 What products have you been loving in September?